For American families, Tax Day is more than just a paperwork nightmare, it’s also a day when they look back to consider how their budget has been stretched by taxes and to consider where all that money has gone. This year, there is an insidious tax that many Americans have no idea they’ve been paying. That’s mostly because instead of being referred to as a tax, it’s been cloaked in the jargon of international trade. This tax is a tariff, and over the last 10 months Americans have been paying tariffs in record numbers as a part of a multi-front trade war. This Tax Day, Congress should push the administration to axe these hidden taxes once and for all. In a study released last month, the World Bank’s chief economist along with economists from three major U.S. universities estimated the overall cost of the trade war to U.S. consumers at $69 billion. The $69 billion price tag amounts to over $500 paid per American household, a significant chunk of change for a trade war that American consumers never asked for and certainly didn’t sign up to pay for. The outcry from Americans on these taxes has thus far been muted and neglected by the media. When a tax is not being called a tax, drastic price increases suddenly sound less outrageous. In addition, the administration has been less than honest about who is actually paying for these tariffs. The idea that China, or any other country, has been the one picking up the tab for these tariffs is simply false. Tariffs that we assess on other countries are paid by the importer of record here in the United States. In other words, American businesses – large and small – pay the extra taxes. Sometimes they eat the cost of those taxes, hurting their ability to invest in growth and support jobs. But most of the time, the cost of these taxes is simply passed on to the American consumer in the form of higher prices. For the American consumer, this begs the question: where has all that tariff money gone? Significant sums have already gone toward bailing out industries adversely affected by tariffs, creating a heinous hamster wheel of tax-and-spend policies. Even if a deal with China is reached over the course of the next few months, damage will continue to be done, necessitating even more bailouts. But all may not be lost. Together with Tariffs Hurt the Heartland, the multi-industry campaign against tariffs, the Taxpayers Protection Alliance is making a straightforward request that the U.S. Treasury secretary at least consider taking tariffs into account during this season of tax refunds. Giving American consumers their hard-earned money back is at least preferable to bailing out some industries while ignoring the downstream effect on everybody else. 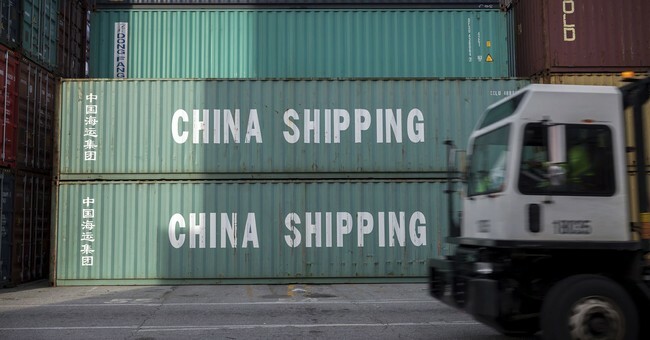 The progress that has been made in negotiations with China is encouraging, and we certainly hope that a deal can be reached that reforms China’s abusive trade practices and ends our tariffs and retaliatory tariffs. But the Americans who paid more for t-shirts, tools, and groceries shouldn’t bear the cost of the trade war. And the tens of billions of dollars that the Treasury has raked in shouldn’t be theirs to keep. But this problem won’t stop until Congress ends the problem at its source by reigning in the administration’s disastrous trade war. Taxpayers and consumers could use a break this Tax Day from all taxes, explicit and hidden.